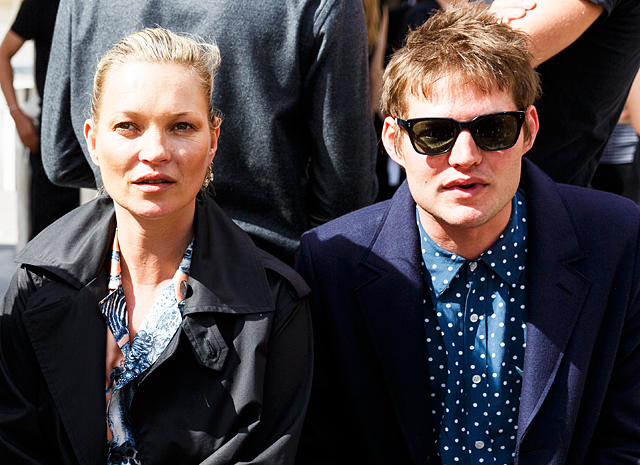 It seems that Kate Moss and her boyfriend Nikolai von Bismarck are ready to take their relationship to the next level. According to media, 42-year-old supermodel has accepted a marriage proposal from her 29-year-old lover during their joint stay in Venice. Kate and Nikolai were seen at a dinner at the famous restaurant Ristorante da Ivo, where George Clooney threw a bachelor party before he was married to Amal. Enjoying wine, pasta with crab and, of course, each other, Kate and Nikolai sat in the restaurant until closing, and when all the guests had left, von Bismarck got down on one knee and present Moss with ring. “He shouted "Ti Amo" and got down on one knee. It was very romantic. Then he pulled out a ring and said that she'd get this ring after she gets divorced her husband (musician Jamie Hince - Ed. )”, - Told restaurant owner Giovanni Fracassi. He also admitted that Nikolai had already told him about the wedding plans: “He wants to marry her in Venice in a small church, which they love, the San Nicolo dei Mendicoli. I remember when Kate came here with Jamie Hince ... I can tell you one thing: Nikolai is much more in love with her”. Recall that a novel of Kate Moss and Nikolai von Bismarck - great grandson of Otto von Bismarck - became public knowledge less than a year ago. The press wrote that at the beginning of their relationship Nikolai literally slept in the basement of Kate’s house, not to disturb the daughter of Kate - Lila Grace Moss. Kate Moss and Nikolai von Bismarck were first going out in June of this year - they attended a presentation of a new collection of supermodel - Kate Moss For Equipment x Net-a-Porter.